Pepon Osorio. I have always appreciated his work because it speaks of identity, culture, masculinity and community. His use of objects, collage and photographs creates a narrative within a narrative. Please tell us about a place in your neighborhood that is personally meaningful to you, and why? 152nd Street and Riverside Drive overlooking the Hudson River. There is a large open rotunda I stand on whenever I feel stressed out. I grew up in Harlem all my life and it has always felt congested. Looking over the Hudson River allows for me to have a moment of feeling open and to breathe. I close my eyes and listen to the sounds of the water and traffic on the highway. It relaxes me and sometimes I fantasize about flying. 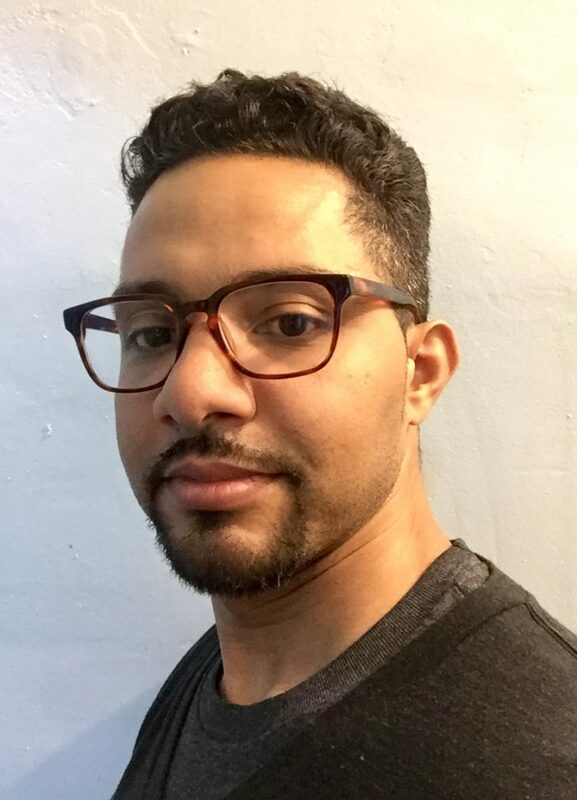 Dionis Ortiz is a committed single father and artist. He feels a sense of responsibility towards his son to foster a connection to Caribbean culture through language, music and art.